How Companies Use SharePoint | Case Study | Pernod Ricard | Colligo Networks inc.
How much Absolut vodka was sold in Russia in the past three months? Do New Yorkers prefer single-malt or blended scotch? How are whisky sales stacking up versus wine in India? 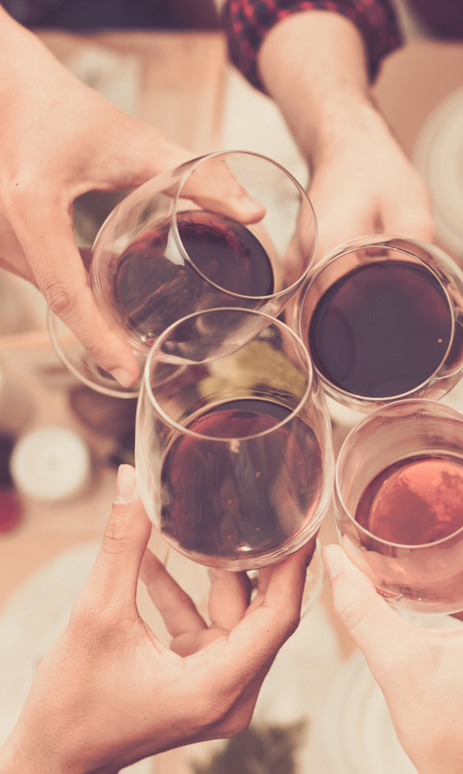 These are critical statistics to know when you’re a major player in the Wine & Spirits sector. 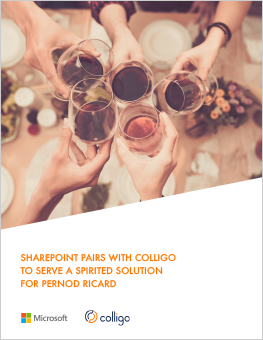 Fortunately for Pernod Ricard, SharePoint extended with Colligo’s award-winning mobile content management solution fills in the blanks with up-to-the-minute data for busy executives on the go. As owner of such renowned brands as Chivas Regal, Absolut Vodka, Martell & Mumm Champagne, Pernod Ricard is the world’s #2 in Wines & Spirits. Executives at Pernod Ricard – especially their CEO – spend a lot of time in the air travelling from France to APAC (Asia Pacific), the Americas and across the EMEA (Europe, Middle East & Africa) region. It’s all in pursuit of better business. To meet with the field and understand what is happening in different geo-locations and how products are performing. With daily, weekly, monthly and quarterly reports coming in country by country from various sources, Pernod Ricard was inundated with data. “Before we installed SharePoint with Colligo, our CEO would search and then print the most relevant information on a particular region. Piles of paperwork got packed into his briefcase and carried on board the plane for him to review in flight. The challenge was that the local region might be looking at different reports, preparing for his arrival. It meant that time was wasted trying to get everyone on the same page.” Says David Lepicier, Business Intelligence Director, Pernod Ricard. The CEO and other department heads needed current and accurate data at their fingertips by the time they reached their destinations so their time could be spent conducting efficient, productive meetings with regional office managers and sales teams. For Pernod Ricard, the ability to access information while on the move was paramount to optimizing the valuable time executives and regional teams spent travelling and in meetings. While their SharePoint platform is a rich repository of terabytes of data collected from multiple sources and systems around the organization, pairing SharePoint with Colligo has transformed how Pernod Ricard conducts their business. It is a case of “better together”, where Colligo has extended SharePoint with mobile content management capabilities including specific functions needed by the business for governance, auditing and reporting. Colligo Console enables business owners to deploy content and produce reports without the need to involve IT. Using Colligo Console, Lepicier’s team centrally controls the distribution of content to the native Colligo app on each Executive’s iPad. What truly sets this software solution apart is that the information is accessible even offline. Colligo takes care of synching the right information to the right user. When busy executives step onto a plane and step off the grid, they can still open their iPad, knowing accurate information has been pushed to them for review. So no matter where in the world they are, no matter if they’re connected or not, people can still be productive. David Lepicier, Business Intelligence Director, Pernod Ricard. Download the extensive full feature PDF version. Want to take a closer look? Get a guided product walkthrough customized for your environment. Speak to our experts to see if we're the right fit for your needs.